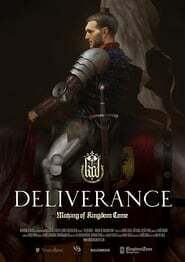 Kingdom Come: Deliverance is a unique single-player RPG set in the realistic world of medieval Europe. The path to its release was a long and complicated one: the game was rejected by publishers as too risky and its development was only possible thanks to the support of thousands of backers on Kickstarter. Even then, the developers still faced a whole range of obstacles due to the game’s unconventional ideas and mechanisms. This documentary charts the more than six-year long, tortuous journey from the foundation of Warhorse Studios to the final release of the game.